Menno Plukker Theatre Agency, Inc. Sharing the same vision as FEDORA, organisations form the first tier of the FEDORA network and will contribute together to the future of this European initiative. As part of the community, organisations can set an example of uniting Europe through collaborations and exchanges in the field of the performing arts. Contact us to receive our Membership subscription form. 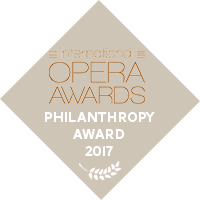 Once filled in, you can submit the form by email to services@fedora-circle.com or by regular mail to FEDORA - The European Circle of Philanthropists of Opera and Ballet (Palais Garnier - 8, rue Scribe - 75009 Paris - France).